I love the downtown area of Chattanooga: stores, restaurants, theatres, the Tennessee River, the aquarium. I first learned of it a few years ago by sightseeing with a friend, but now I just love to explore. The folks in there were so kind to let us take pictures of the cute decor, the beautiful cased cupcakes, and to gladly sell us to wonderfully delicious cupcakes. 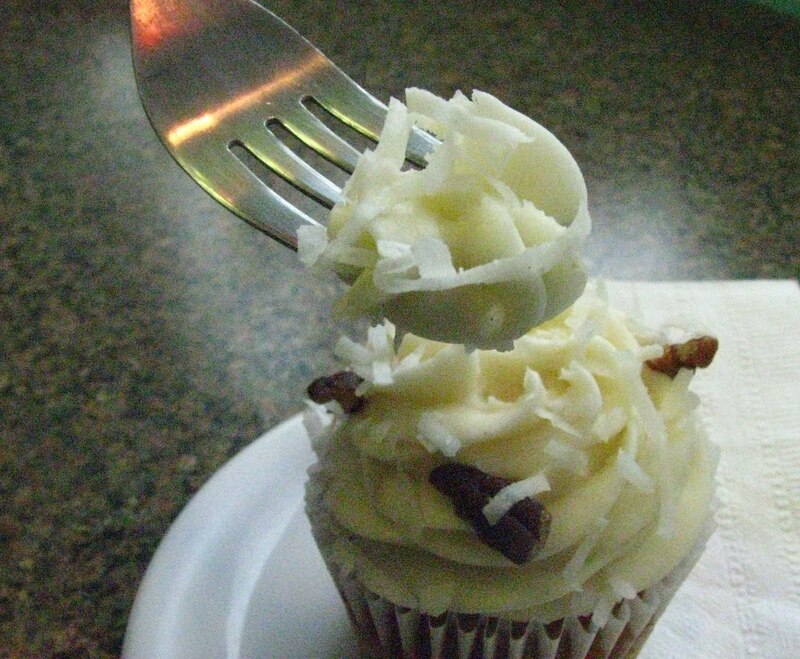 I chose the Italian Creme cupcake – the frosting was out of this world – I think I literally said “this is better than Publix frosting” – never before said that. 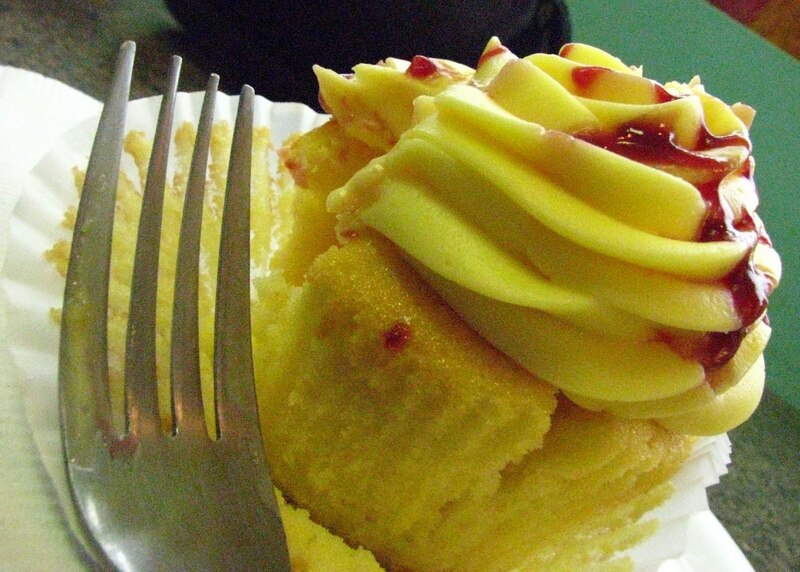 Aarica had the lemon raspberry cupcake – which had raspberry cream cheees filling with lemon frosting and raspberry drizzle on top. The cupcake was so moist and scrumptious with the filling. 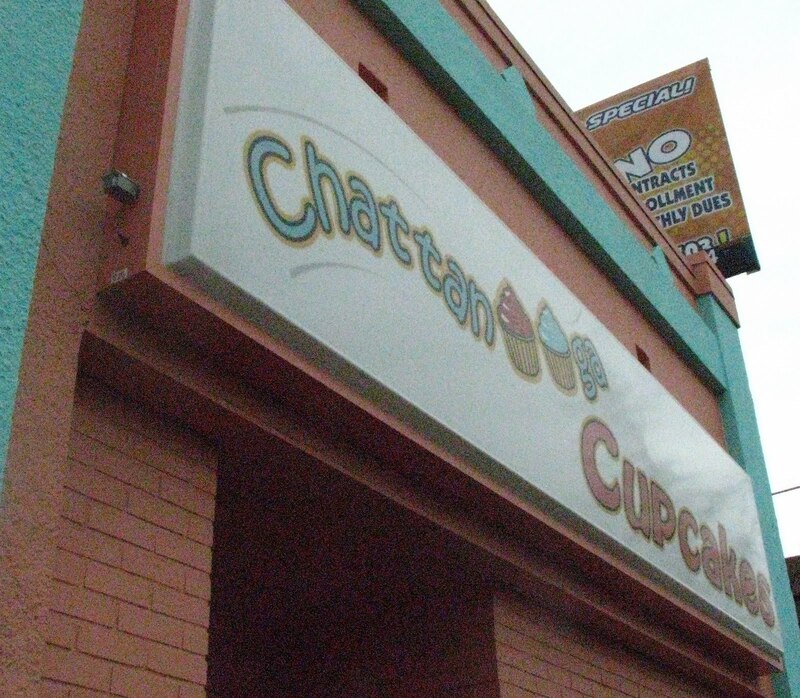 If you are ever in downtown Chatt – by the Aquarium – you MUST stop in – save some room for a cupcake – which is usually a necessity of life!